Congratulations to the Stafford County Volunteer Fireman’s Association! After receiving the most votes from their local community, we selected the Stafford County Volunteer Fireman’s Association as the winner of The Wawa Foundation Virginia Hero Award! We proudly presented the Stafford County Volunteer Fireman’s Association with their award and a $20,000 grant during a special event at Wawa Store #682 in Richmond, VA. The three runners-up were also recognized that day, each receiving a $5,000 grant. Read the finalists’ stories below, and learn more about the work they’re doing to improve their communities and empower the citizens who live in them. 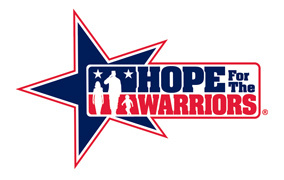 Hope for the Warriors’ mission is to support our nation’s post-9/11 service members, veterans, and military families, who have all given so much to serve the greater good of our country…. This organization was founded by veterans for veterans who are passionate about helping active duty, veterans and veteran spouses transition into the civilian workforce….